OLD PARKED CARS. 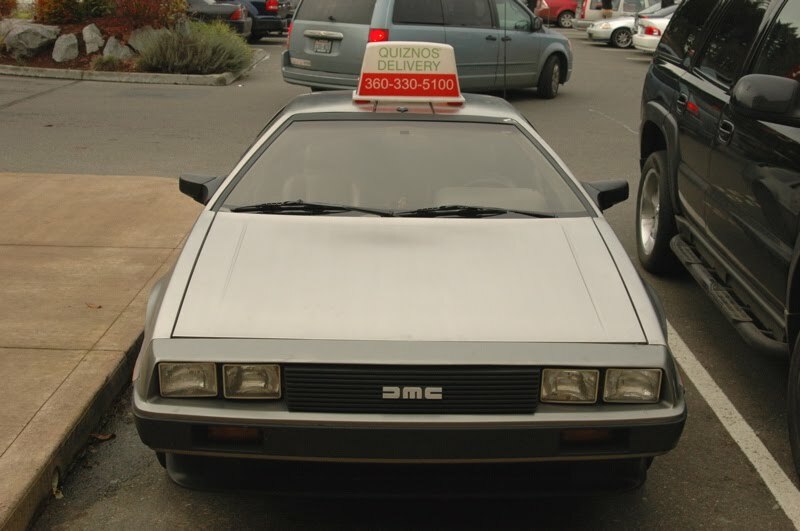 : 1982 DeLorean DMC-12 Quiznos Delivery Car. 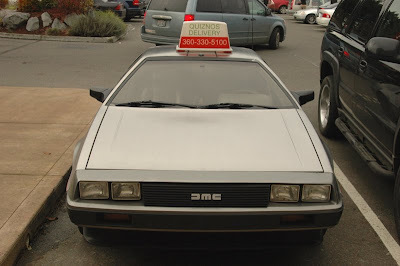 1982 DeLorean DMC-12 Quiznos Delivery Car. 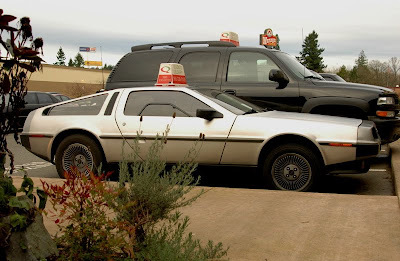 I bet the 30 minutes or less rule doesn't apply here, I mean they just have to drive 88 mph and get it to you before you even call and order. Oregon-The only state where pizzaboys drive Deloreans. THAT FOOL! 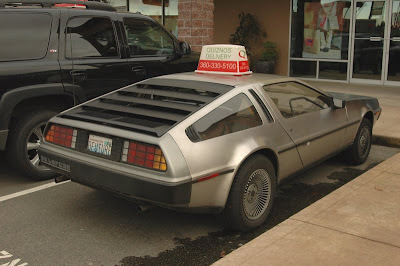 He has his Flux Capacitor mounted on the roof! yup. when i spotted the car, there were three people standing around shooting it with their phones. 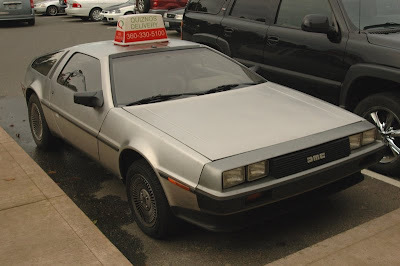 Ok wait, they can afford a $30,000+ USED car yet they only make pizza delivery person's salary? Must be some rich person's brat kid. Some rich person's brat kid is one scenario. A more likely one is that it is the owner's. 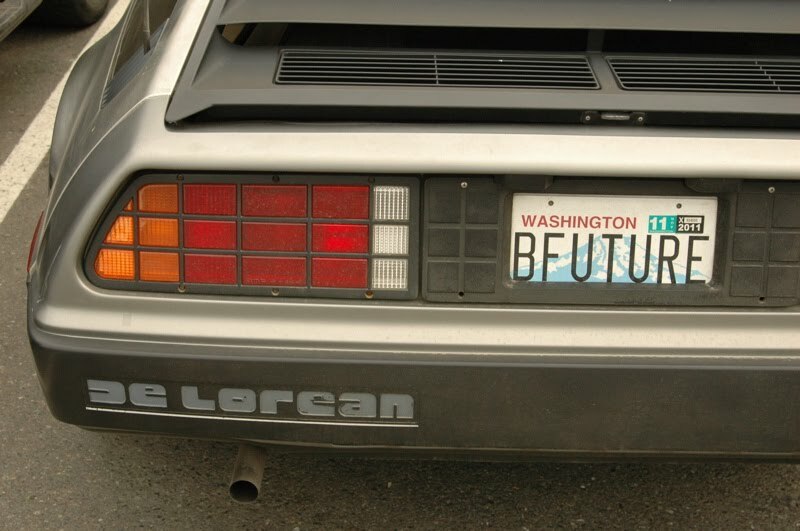 Buy a car, put a sign on it and get people all over the country speculating about it. The doors would never open > The sign is setting atop the hinge area . This was staged. astute observation, anon. i definitely didn't notice that detail. I was about to tirade til' i read the door comment. Keen observation my friend.